A simple breakfast is all you need to start the day. Sweet potatoes are an excellent source of vitamin A (in the form of beta-carotene). They are a very good source of vitamin C, manganese, copper, pantothenic acid, and vitamin B6. They are also a good source of potassium, dietary fibre , niacin, vitamin B1, vitamin B2, and phosphorus. 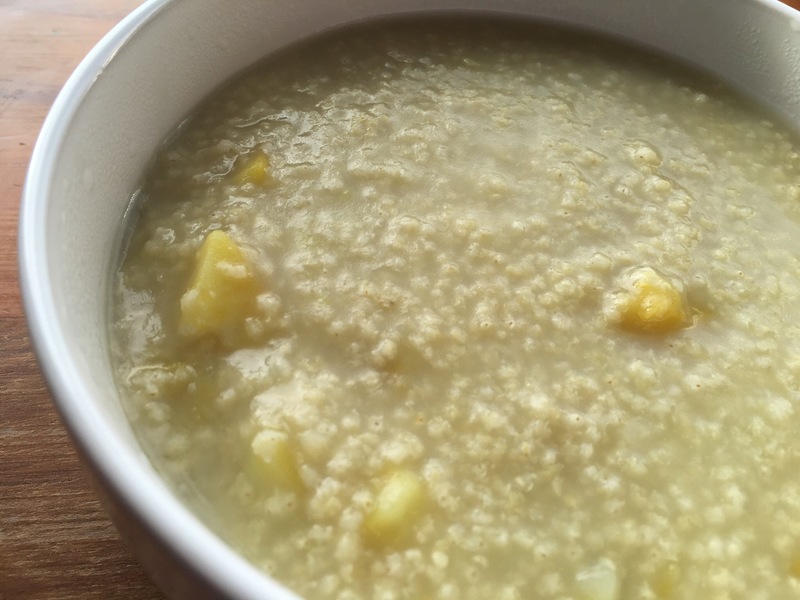 Porridge is hydrating and with some added greens, it will give you the extra fibre. You can also have it for lunch or dinner if you want to have something light. 1.Rinse the millet and boil it with 2 cups of water. 2. Add in the sweet potato together with the sweet potato. 3. Add in the salt once the millet is cooked and the sweet potato has soften. 1.Boil a pot of water. 2. Add in the broccoli and cook till soft and remove from the pot. 3. Add in the kale for 1 min. Remove from heat. 4. 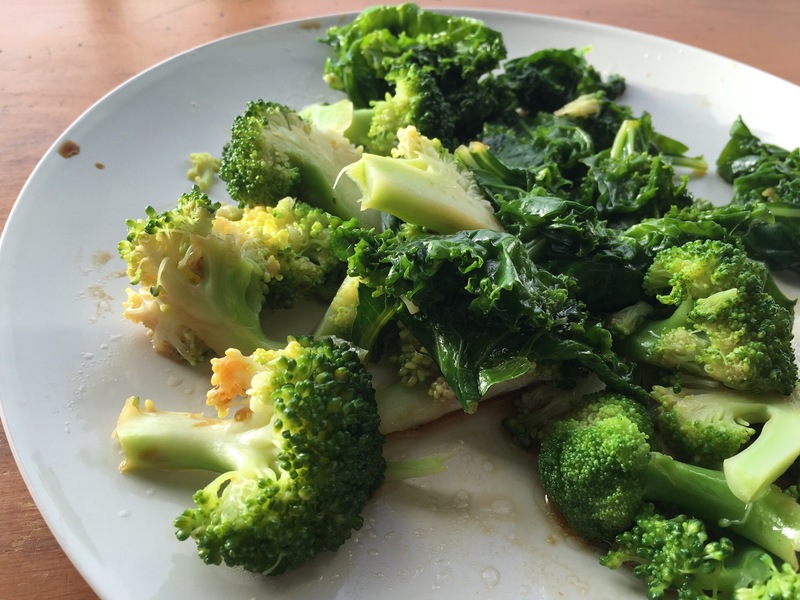 Place the broccoli and kale on a plate and drizzle some sesame oil and tamari sauce. Mix them up well. Not too difficult isn’t it. Enjoy the easy to make breakfast.